Arnaud Jobert is a Managing Director at J. P. Morgan and heads our global Investable Index & EMEA Structuring teams. 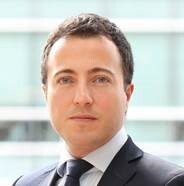 Arnaud has been in the Equities Structuring group in London for 14 years. He is responsible for product development of a broad range of investment, absolute return and hedging solutions across retail, PB and institutional clients, and has been leading our effort in systematic investment strategies including areas like volatility trading, hedging and cross-asset risk premia investing. Arnaud re-joined J.P. Morgan after having spent two years in the Equities Structuring Group of Credit Suisse in London, focusing mainly on Institutional clients. In his first years at J.P. Morgan, Arnaud was part of the Equity Exotics & Hybrids team, covering mainly tactical payoff and complex flow solutions for volatility hedge fund clients. Arnaud holds a PhD in Quantitative Finance and a MPhil in Probability from Cambridge University, UK.